Infinite Art Tournament: The Infinite Art Tournament, Round One: Giotto v. Giulio Romano! 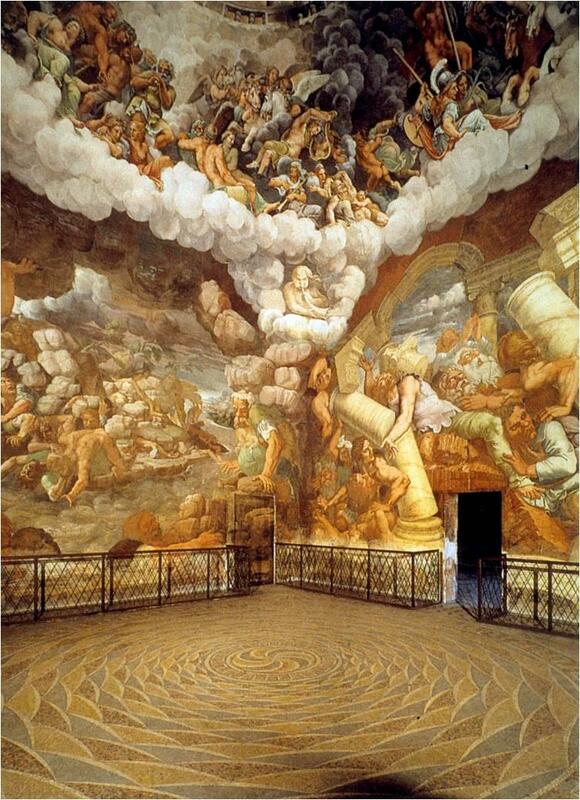 The Infinite Art Tournament, Round One: Giotto v. Giulio Romano! Giotto! Though I'd love to visit the collapsing room. You know, I'm kind of liking Giotto. 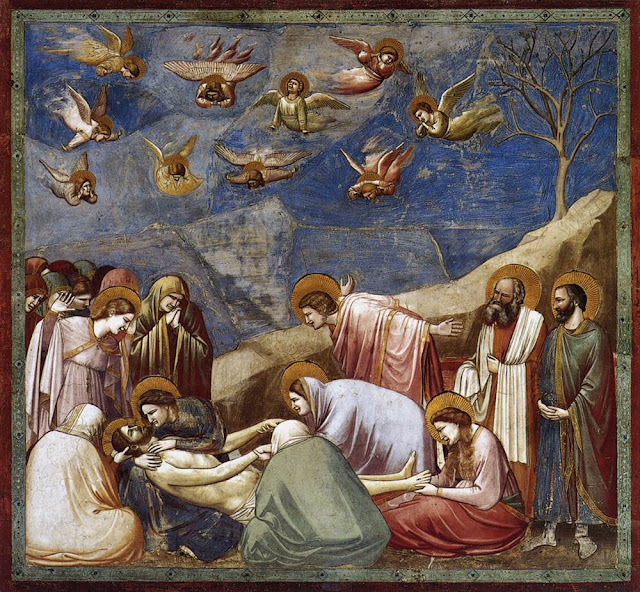 I prefer the angels of Giotto. Oh maaaannnnn, Giulio Romano is awfully good. But I will go with Giotto for three reasons: (1) he's The Father of Us All, (2) I have fond memory from Quiz days of trying to mislead people into thinking image #1 was by Grandma Moses, and (3) Mrs.5000 would probably kill me if I voted against Giotto in Round 1. 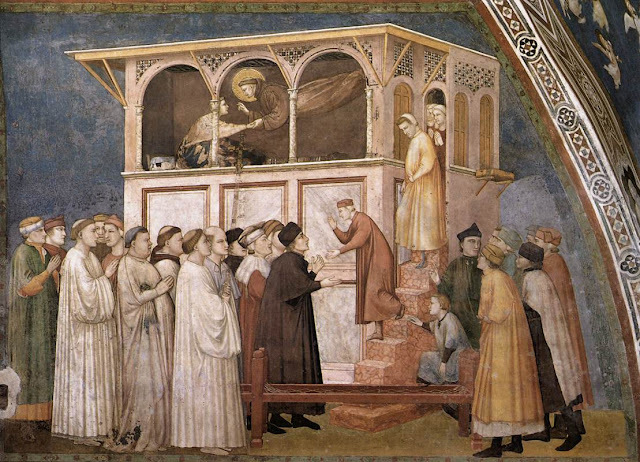 By postcard: "Giotto. One of the Great G's -- no wonder you said that they would take so long. Amazing after the letdown of the Es and Fs. So, Giotto. Very cool, and although I had no idea that he was the father of us all, I can imagine it with those dates. 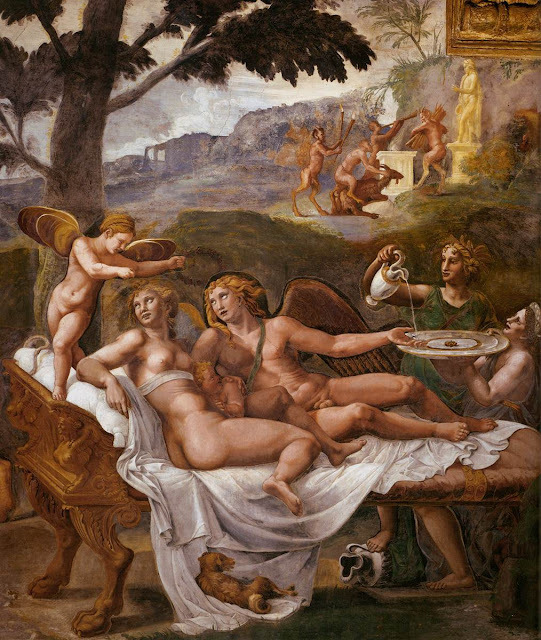 But Giulio Romano? Googling some of his images (not all!) sold me on him. Color me pagan today with a vote for Giulio. Giotto is lapis lazulitastic y en fuego with an 8-3 spree over Giulio Romano. On to Round Two!